Draft: 2006, Los Angeles Angels, 1st rd. Selected by the Los Angeles Angels in the fi rst round (25th overall) of the 2006 June Draft...signed by Bobby DeJardin. 2: Acquired by the Houston Astros from Los Angeles in exchange for C Carlos Perez and RH Nick Tropeano, November 5, 2014. 3: Acquired by the Tampa Bay Rays from Houston in exchange for cash considerations, December 3, 2015. In his only season with the Astros, he played in 69 games and started 56 as a backup to Jason Castro...enjoyed his best season offensively with career highs in homers (11), RBI (33), runs scored (25), walks (23), on-base pct. (.311) and slugging pct. (.436)…Becomes the sixth switch-hitting catcher in Rays history...in 2015, batted 104 points higher vs. righthanders (.279, 7-HR, 22-RBI) than lefties (.175, 3-HR, 11-RBI)...he has batted .233 (171-for-735, 24-HR) during his career from the left side and .188 (29-for-154, 4-HR) as a right-handed hitter…His .892 OPS vs. right-handed pitching in 2015 led all major league catchers (min. 100 AB) and would have led all Rays hitters...among AL West division players, only LAA Mike Trout (.978), TEX Prince Fielder (.923) and TEX Shin-Soo (.917) had a better OPS vs. RHP…He and Castro each hit 11 home runs, the majors' only catching teammates with 10 or more home runs...they were the first to do it in Astros history and only the 12th set of catchers in AL history to hit more than 10 home runs in a season, first since CLE Yan Gomes and Carlos Santana in 2013. Ranked 2nd to TB Curt Casali in AB/HR ratio among major league catchers (min. 10 HR)…One of six catchers to make the postseason in each of the last two seasons, joining PIT/TOR Russell Martin, KC Salvador Perez, STL Yadier Molina, LAD A.J. Ellis and STL Tony Cruz…Hit the first two grand slams of his career, one of four catchers to hit two grand slams in 2015 joining OAK Stephen Vogt, SF Buster Posey and SD Derek Norris...also had his first career multi-homer game in a 9-2 win on Aug 1 vs. ARI...hit both HR, including one of his grand slams, off former Ray Jeremy Hellickson...his other slam came off MIN Mike Pelfrey on Sep 4 in an 8-0 win...added an RBI single for his second 5-RBI game, third of his career…He and Vogt were the only catchers with two 5-RBI games in 2015...became the first catcher in Houston's 54-year history to post multiple games with at least 5 RBI in the same season... was the No. 9 batter in the order for both of his 5-RBI games...only four other major league players in the last century had 2 games with at least 5 RBI from the No. 9 spot in the order, including TB Julio Lugo in 2003...the others: BOS Jackie Bradley Jr. (2015), TEX Kevin Elster (1996) and ATL Tony Cloninger (1966)…Base runners were successful on 42 of 43 stolen base attempts...he threw out CWS J.B. Shuck at 2B on May 29, then was unsuccessful on his last 37 attempts...however, the Astros staff attempted only 23 pickoffs per 100 SB opportunities, which ranked last in the majors...threw out a career-high 14 attempted base stealers in 2014 and his 24.1 pct. caught stealing rate the previous three seasons (2012-14) was only slightly below the 26.8 pct. major league average during that span…Has had only 4 passed balls in his career, no more than one per season...has averaged one passed ball every 73 games, best ratio among active major league catchers with 250 or more games...his catcher's ERA of 3.55 is 7th best among actives…Homered in an 11-4 win on May 2 vs. SEA Tyler Olson, the first home run of his career from the right side...he had gone his first 86 PA (66 AB) vs. southpaws without a home run...his next HR also came off a lefty: June 4 vs. BAL Wei-Yin Chen in a 3-2 loss…With the Astros trailing 11-0 on May 6 vs. TEX, made in his first and only appearance as a pro in the outfield...played LF for 2 innings, and did not register a chance…POSTSEASON: Appeared in one playoff game with the Astros, catching the 9th inning of Game 4 of the ALDS, a 9-6 loss to the Royals, his second career postseason game. Completed his second full season in the Majors with Los Angeles...made 80 appearances, posting career highs in starts (70), plate appearances (260), runs, RBI and walks...split time at catcher with Chris Iannetta...the Angels went 42-28 in his starts, while the club's pitchers fashioned a 3.35 ERA in his 79 total games behind the dish...was tabbed by multiple sources as one of the game's top pitch framers and receivers...per StatCorner.com, his pitch framing saved a total of 21.3 runs above an average Major League catcher...despite playing on a part-time basis, that mark ranked fourth in the Majors behind only C Miguel Montero, C Mike Zunino and C Jonathan Lucroy...Baseball Prospectus had Conger at third in the Majors in their pitch-framing metric, behind Lucroy and Zunino...threw out a career-high 14 runners attempting to steal, going 14-for-71 in caught stealing attempts (19.7%)...made his third career Opening Day roster, and his second consecutive with the Angels...drew a walk-off hit by pitch in the 11th inning on April 11 vs. NYM...was his first career walk-off RBI, and marked the fifth walk-off hit by pitch in Angels history...was the first since IF Wally Joyner's on July 23, 1989, vs. DET...tied his career high of three hits twice on the season, going 3x5 with three RBI on April 25 at NYY and 3x4 with five RBI on May 11 at TOR...became just the third Angels catcher since 2000 to have multiple games with at least three hits and three RBI in a single season, joining C Mike Napoli (2008) and C Bengie Molina (2003-04, 2000)...also became just the 10th catcher in Angels history to have a game with five RBI, and the first since C Bobby Wilson in 2010...hit .324 (11x34) with two homers and eight RBI during the month of April...marked the most productive offensive month in his Major League career, as his average and OPS (.949) were both highs for any month in his career...recorded his 150th career hit on Sept. 9 at TEX, becoming the 13th catcher in Angels history to reach the 150-hit plateau...appeared in his first ever postseason game...entered Game 3 of the 2014 ALDS vs. Kansas City in the 9th inning, going 0x1 as a pinch-hitter. Hit .249 (58/233) with 13 doubles, a triple, seven home runs and 21 RBI during his fourth season with the Angels (first full big league season)…Established career highs in games (92), hits, runs (23), doubles, home runs and RBI while matching bests in triples and walks (17)... Halos pitchers fashioned a 3.68 ERA with Conger behind the plate... Threw out 24.2% (15/62) of would-be base stealers…Only allowed one passed ball in his 71 games behind the plate... Hit a pinch-hit HR on Aug. 31 to give the Angels the lead in the top of the 9th…Was first career pinch-hit home run and first by a Halo since Kendrys Morales on Sept. 14, 2012…Was the first Angel with a pinch-hit home run in the 9th inning or later to give the Halos the lead since Robb Quinlan June 24, 2006 (tied 4-4, 2 outs, T13th inning @ Arizona)... Home run on June 12 landed on Eutaw Street outside Camden Yards…Was just the 69th homer ever to reach the street and second hit by an Angel. Played a majority of season with Triple-A Salt Lake, posting a .295 (78/264) average in 67 games with Bees, including 17 doubles, 10 HRs and 42 RBIs....295 average would have been second-best by a PCL catcher if he qualified...Hit .328 (43/131) before Minor League All-Star break...Over his two stints with Angels, went 3-for-18 (.167) and reached base in four of six starts...Six of seven appearances came in starts...Originally recalled on June 5 before being optioned back on June 18...Recalled for final time on Sept. 4...Threw out two of eight would-be base stealers on MLB level...Placed on DL in Triple-A with a right elbow injury on April 22...Missed 37 games before returning to action on May 31...Hit .295 (13/44) in 18 games with Halos in spring, including four doubles, a home run and five RBIs. Made first career Opening Day roster...Appeared in 59 games with Angels and made 48 starts behind the plate(Angels were 24-24 in those starts)...Hit .209 (37/177) with six home runs and 19 RBI with Halos...Launched firstML HR in first AB of season, April 5 at TB...Angels were 5-1 in games he homered...Batted .256 on road compared to.172 at home...Opened season batting .273 (12/44) in April - batted .188 (25/133) from May - September...Hit .300(6/20) with nine RBI with RISP & two outs...Optioned to triple-A Salt Lake July 19...In 24 games with Bees, batted.300 (30/100) with five home runs and 26 RBI...Collected six RBI, August 7 at Albuquerque...Recalled from Salt LakeAugust 19...Threw out 10 of 63 base stealers (16%) with Angels and Halo pitchers fashioned a 3.84 ERA with Congerbehind the plate...Particpated in Arizona Fall League in 2011. Contract selected from triple-A Salt Lake on Sept. 6...Appeared in 13 games with Angels making nine starts behindplate...Was 7-2 as a starter with a catcher's ERA of 1.91 (80 IP - 17 ER)...Made first MLB start (C) on Sept. 15 atCleveland...Two-run single in 1st inning marked first hit of MLB career...Made MLB debut Sept. 11, striking out inonly plate appearance...Hit .172 (5/29) with one double, one triple and five RBI in 13 games with Halos...Batted .300(116/387) with 26 doubles, two triples, 11 home runs and 49 RBI in first season with Bees...His .300 average rankedsecond in batting amongst PCL catchers (min. 250 AB's)...From August 1st to time of call-up, hit .365 (46/126) withBees to raise season average from .268 to .300...Finished season at Salt Lake riding a nine-game hit streak wherehe collected 16 hits in 38 at-bats (.421) with three doubles, one triple and two home runs...Named 2010 All-StarFutures Game MVP after catching five innings and connecting for a three-run home run in U.S. Team's 9-1 win atAngel Stadium. Named to Texas League midseason and postseason All-Star team in 2009...Finished season seventh in Texas Leaguewith .295 batting average. Selected to 2007 Midwest League All-Star Game after hitting .282 with eight HR and 31 RBI through the first 61games of season. July 11, 2018 Pericos de Puebla released C Hank Conger. May 8, 2018 Pericos de Puebla signed free agent C Hank Conger. July 28, 2017 Reno Aces released C Hank Conger. 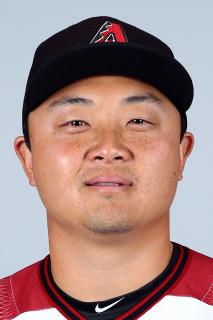 February 9, 2017 Arizona Diamondbacks signed free agent C Hank Conger to a minor league contract and invited him to spring training. February 9, 2017 C Hank Conger assigned to Reno Aces. October 4, 2016 C Hank Conger elected free agency. September 8, 2016 Tampa Bay Rays sent Hank Conger outright to Durham Bulls. September 6, 2016 Tampa Bay Rays designated C Hank Conger for assignment. July 11, 2016 Tampa Bay Rays optioned C Hank Conger to Durham Bulls. December 2, 2015 Houston Astros traded C Hank Conger to Tampa Bay Rays for cash. November 5, 2014 Houston Astros traded C Carlos Perez and RHP Nick Tropeano to Los Angeles Angels for C Hank Conger. September 4, 2012 Los Angeles Angels recalled C Hank Conger. June 18, 2012 Los Angeles Angels optioned Hank Conger to Salt Lake Bees. June 5, 2012 Los Angeles Angels recalled Hank Conger. May 31, 2012 Hank Conger roster status changed by Salt Lake Bees. April 4, 2012 Los Angeles Angels optioned C Hank Conger to Salt Lake Bees. August 18, 2011 Los Angeles Angels recalled Hank Conger from Salt Lake Bees. July 19, 2011 Los Angeles Angels optioned Hank Conger to Salt Lake Bees. October 13, 2010 C Hank Conger assigned to Navegantes del Magallanes. September 7, 2010 Los Angeles Angels selected the contract of C Hank Conger from Salt Lake Bees. July 31, 2010 Hank Conger roster status changed by Salt Lake Bees. July 15, 2010 Salt Lake Bees activated C Hank Conger from the temporarily inactive list. July 10, 2010 Salt Lake Bees placed C Hank Conger on the temporarily inactive list. April 6, 2010 C Hank Conger assigned to Salt Lake Bees from Arkansas Travelers. February 3, 2010 Los Angeles Angels invited non-roster C Hank Conger to spring training.